The sculpture Esmeralda was originally made in plaster. 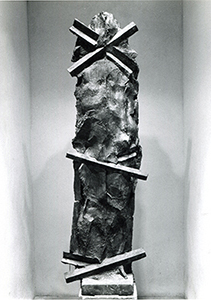 It was cast into bronze in 1980. 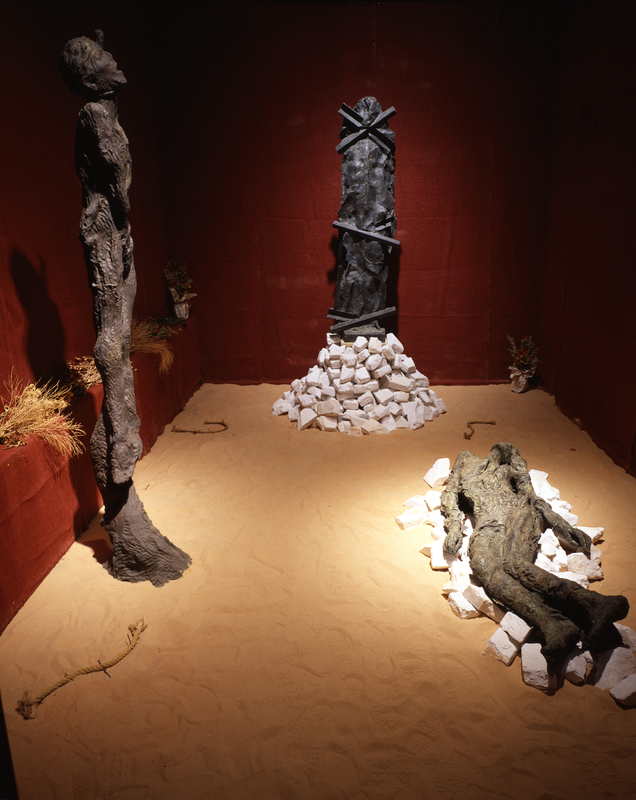 The sculpture was created under a fixed, frontal lighting situation, in order to enforce and control certain relationships that occur in the sculpture. In 1980 it was enclosed in a concrete chamber at Haverford College, partially sponsored by the PA Council on the Arts. This chamber measured 8' x 16' and was intended as a permanent residence for the sculpture. 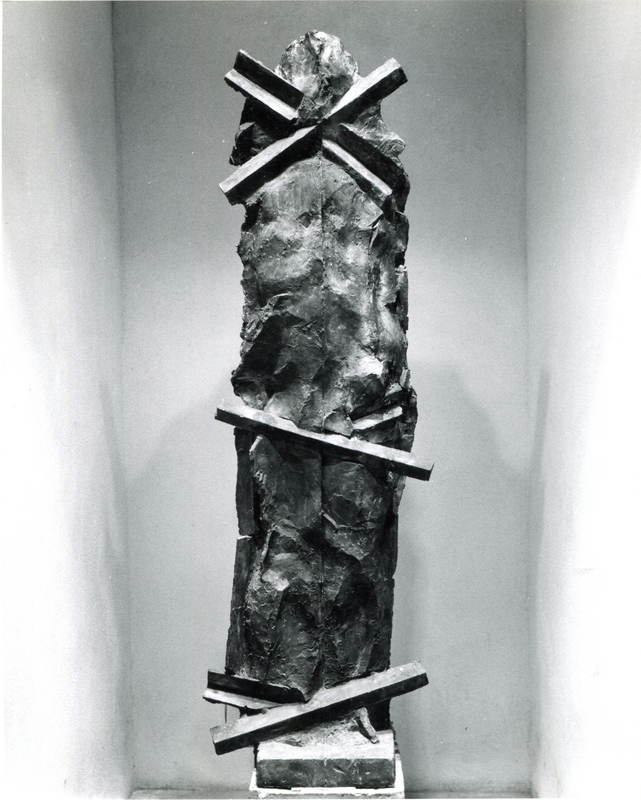 The placement of the bronze in an enclosed chamber strictly controls the relationship of the viewer to the sculpture. It also presents the work in the clearest manner possible, in correspondence to the situation in which the sculpture was made. The chamber was a gift to Haverford College by the artist in memory of Julius Katchen, pianist, class of 1947. Eight years later the chamber was demolished as an "improvement", under the auspices of Norm Ricker, Director of Building and Grounds, and then Provost Hank Payne, who has gone on to better opportunities. The sculpture now resides in a natural arbovitae chamber, a far less satisfactory environment. It's future remains uncertain, living in a world where sculpture is routinely demolished and/or not properly maintained. 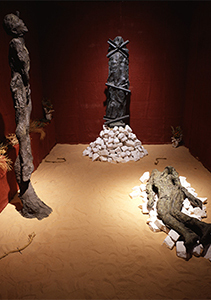 A second cast formed the centerpiece of a revived Esmeralda Chamber at Haverford College's Cantor Fitzgerald Gallery. This gallery is dedicated to Howard Lutnick, an individual whose interest in art is highly questionable. 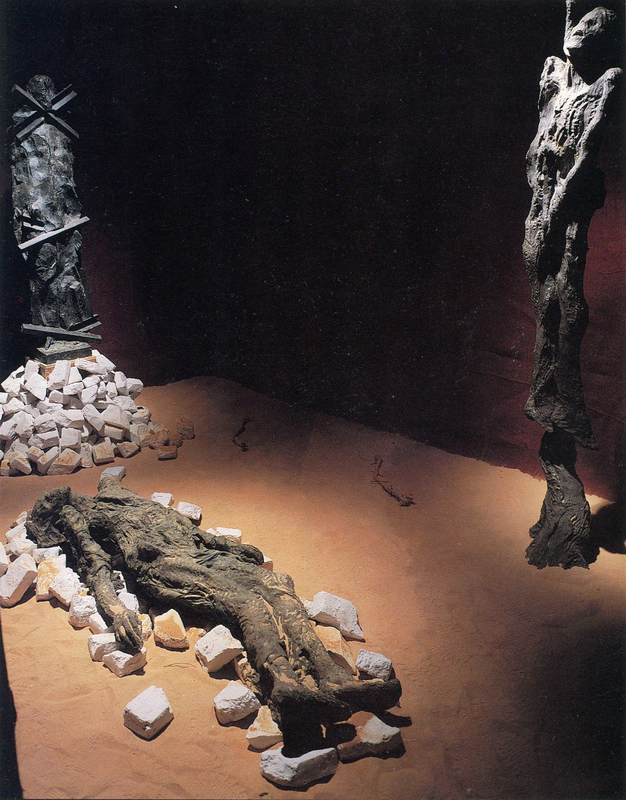 The new chamber, a 8' x 16' replica of the original chamber, also housed two additional sculptures, Incorporeal Sorrow, and Am Damm. 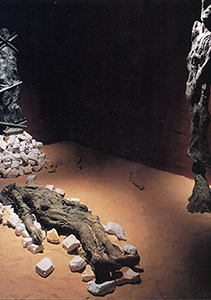 This version of the chamber was also displayed at Muhlenberg College in 1996.